Bring home BIG LOVE! Adopt a big breed dog for $50 at all spcaLA adoption centers until the end of February. Each Big Love adoption comes with a coupon that may be applied towards one private training session or a group class with the spcaLA Training Department. 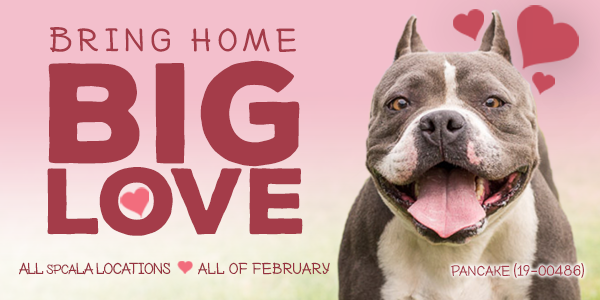 The Big Love adoption special is for qualified adopters only. Click here to view adoptable dogs and spcaLA’s adoption requirements.